I liked the connection to the Skyway. The staff was helpful. I thought there was a fitness center, but could find no info or sign for one. The room did not come with a directory of services of any kind. One of the best breakfast buffets at a hotel that I have experience. The front desk staff was amiable and helpful. The parking ramp is filthy!!! More availability of coffee early morn would be appreciated. Ready to head down to Orpheum Theatre? To experience it, make your way to Minneapolis - St. Paul. You'll soon find out what makes this city so popular with visitors. Selecting the perfect accommodation is a crucial element of any good trip. If you would rather set up camp near Orpheum Theatre, you can find no less than 26 options to choose from. 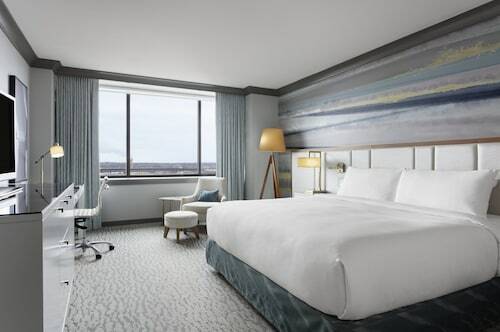 0.4 miles (0.6 kilometers) away, you'll find the Hotel Ivy, a Luxury Collection Hotel, Minneapolis. 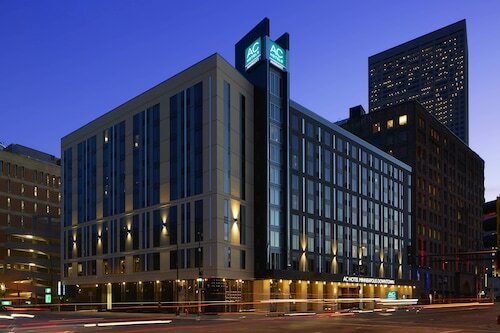 A couple of others to take a look at are the Residence Inn By Marriott Minneapolis Downtown, 0.2 miles (0.3 kilometers) away, and the Loews Minneapolis Hotel, 0.3 miles (0.5 kilometers) away. If you're not that concerned about fancy features but just want to have a clean bed to sleep on, spend a night or two at one of the area's more economical hotels. Some recommendations are the Days Inn Hotel on University and the University Inn. Everyone needs a little pampering every once in a while, so why not book a room at one of the high-end hotels? 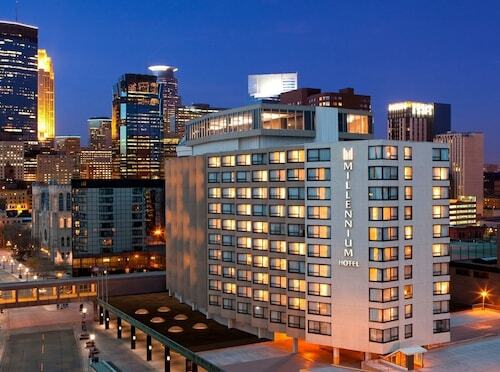 The Radisson Blu Minneapolis Downtown is one of the best places, located 0.2 miles (0.3 kilometers) away. 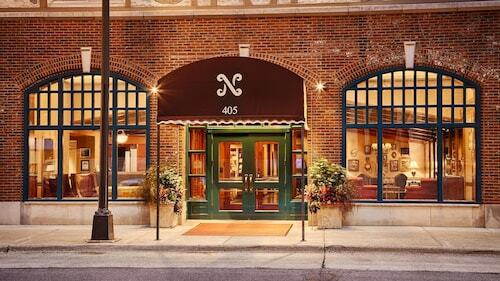 Alternatively, you could check out the Kimpton Grand Hotel Minneapolis, 0.4 miles (0.6 kilometers) away. After a busy day out exploring, pay a visit to Dunn Brothers Coffee (LaSalle Plaza, 800 Lasalle Avenue #215, Minneapolis), which provides sweet treats, attentive service and excellent coffee. You can also go to Mackenzie Pub (918 Hennepin Avenue, Minneapolis), a favorite eatery among both locals and travelers. Be blown away by the inspiring actors who give it their all at State Theatre and admire the effort which is put into these productions. Support the local arts scene and attend a play at Skyway Theatre. Checking out a skyscraper is a fun experience for anyone sightseeing in the big city, and IDS Center isn't any different. Support the local cultural scene and see a play at New Century Theatre. Check out Mary Tyler Moore Statue when you're in the vicinity, and understand it's significance to the locals. When you want an easy way to get to Orpheum Theatre, climb aboard a train until you reach Target Field Station, the stop that's only 0.5 miles (0.8 kilometers) from your destination. How Much is a Hotel Room in Orpheum Theatre? Hotels in Orpheum Theatre start at $89 per night. Prices and availability subject to change. Additional terms may apply.